Getting Green For Spring! The Daily Nest: Getting Green For Spring! The last few days I've been in the mood to Spring-ify my house! You know, see a little green here and there. 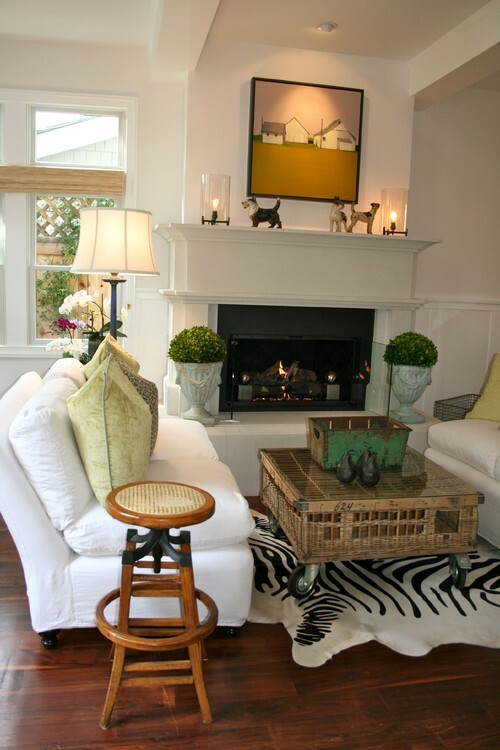 I just fell in love with the the boxwood in the urns on either side of the white fireplace. So I thought, "I have a white fireplace, right?" And I've thought since we painted it white that it needed some "green." So I began my online search because I knew there were no boxwood balls in stores in my area. I've done the legwork! And low and behold I came up with some from a website called Save-on-Crafts. Have you heard of this website? In one word… fantastic? So I ordered a boxwood ball and also a wooden box with greenery for my media console. And I'm extremely happy with them. First the boxwood. 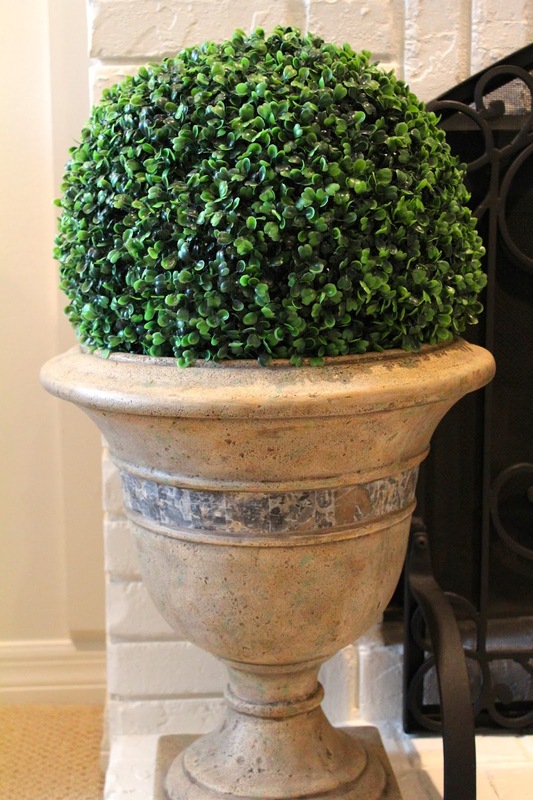 Boxwood has really taken off as a trend lately. And I'm right there with it! This little wooden box is just what I was looking for my media console under my T.V. I felt like it needed something with length. And again "green." So those are my touches of green for Spring! Punxsutawney Phil saw his shadow, so that means 6 more weeks of winter folks! I figure if there isn't much green outside then bring it inside! Dusting? What's that? Lol so true!!! Right on with the greenery. Best part is by the time it needs dusting, it'll be time for a change. Thanks! It really adds a lot! 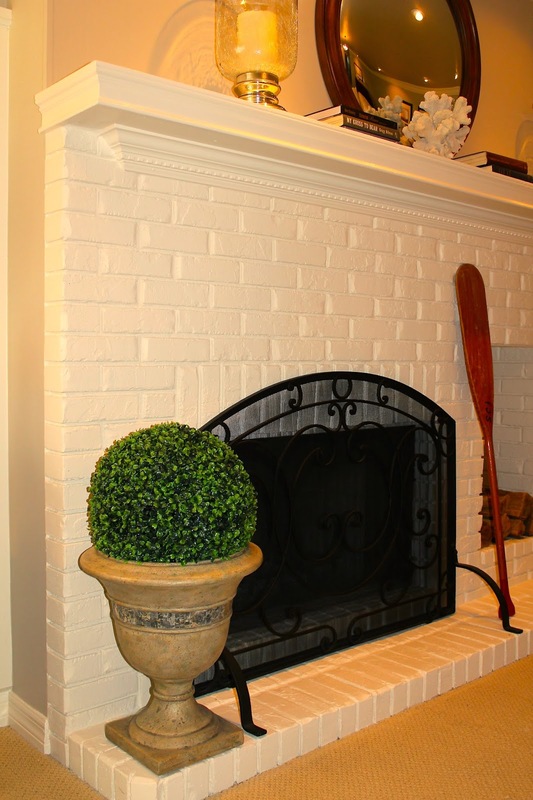 Love the boxwood balls. (that sounds funny) That's such a classic look. 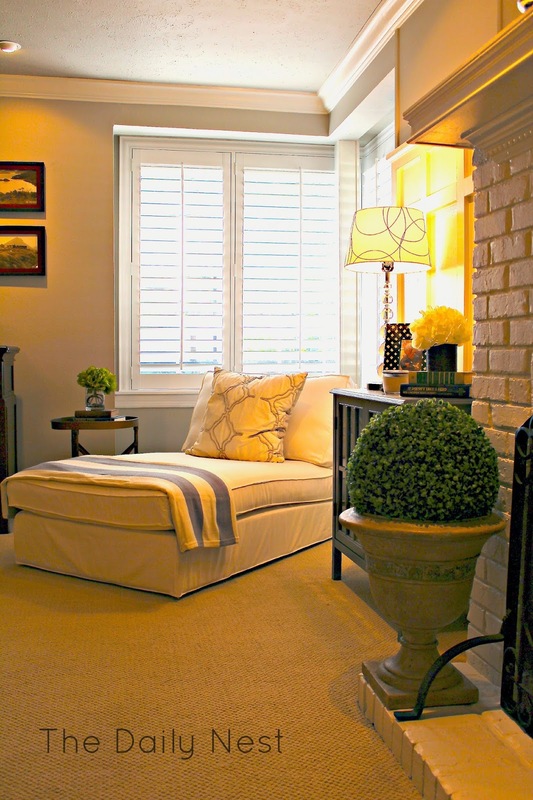 Beautiful ... as usual ... Can you tell me what colors are in the pillow on your chaise?